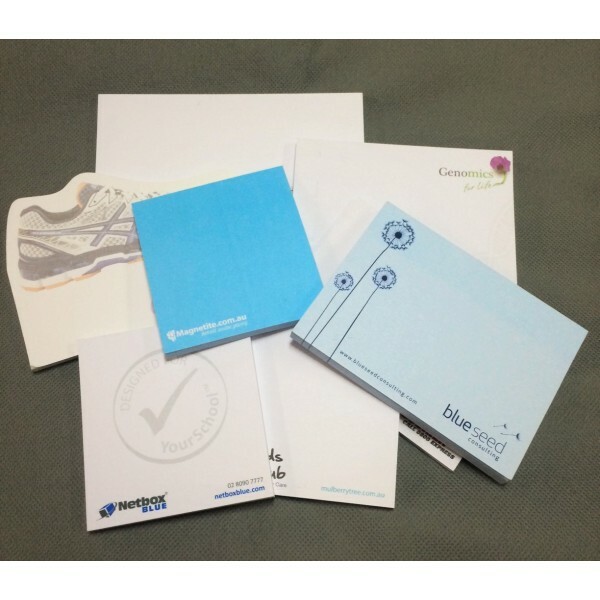 Go inside any office setting, and you are guaranteed to find sticky note pads such as these 70 mm x 75 mm white sticky note pads. They are commonly used for phone messages, reminder notes, and to mark up important documents, but their applicability doesn't end there. They are great for labeling file folders, bookmarking important pages of large documents, and posting appointments in day planners. They even make handy drink coasters so you don't leave a ring on your desk. The sticky note pads are useful around the house as well. Keep them on hand to jot down the dates of doctor appointments, the list of groceries you've asked your spouse to get, or dinner instructions for the nights your children need to heat up dinner. 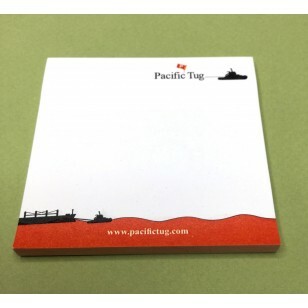 Best of all, these white sticky note pads can be personalized with your company logo to brand your company. It's a cost-effective way to advertise your business while delivering a goody that is practical, functional, and readily used. The tailor-designed sticky note pads make great trade show giveaways. Not only will they drive traffic to your booth, but they will also serve as a repetitive reminder of your business.